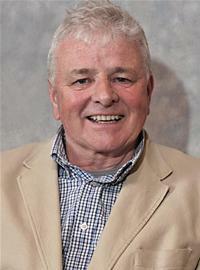 New contractor for Mike's Carpets building - but project still on knife-edge | West Leeds Dispatch | News. Views. Get involved! 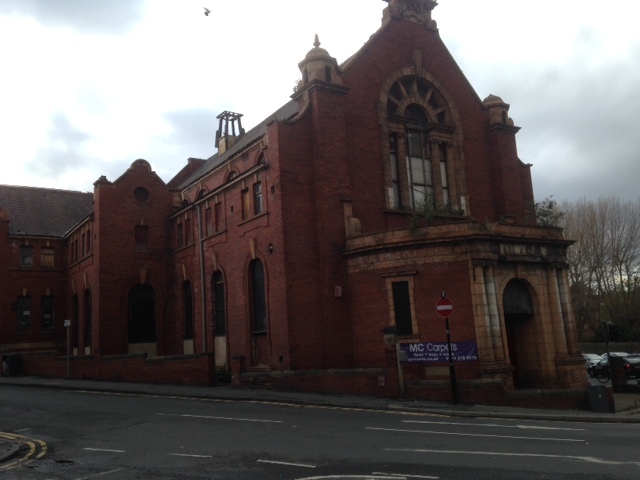 A new contractor has been appointed to restore a run-down landmark building in Armley to its former glory. But there are fears the stalled renovation project on the former Mike’s Carpets building stands on a knife-edge. It’s also feared that financing may be lost if there are further delays. The work is part of the wider Armley Townscape Heritage Initiative scheme, and is funded by £500,000 of Heritage Lottery money and £150,000 from the building’s owner, businessman Mike Smith. But the money has to be spent by March 2016 and residents attending last night’s Armley Forum meeting heard there are concerns that further delays could mean the money being lost to the area. The council have already said that enforcement action could be carried out if there were any further delays. Building owner Mike Smith told the YEP last Friday that new contractors have been appointed and work will start this summer. Smith still owns the building but leases it to another company. 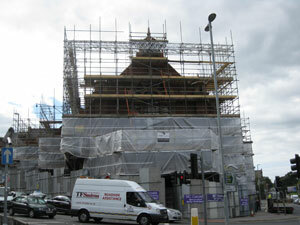 Building work includes repairing the natural slate roof, window restoration and work on the main entrance. The aim of the Armley Townscape Heritage Initiative, which started in 2009, is to raise the profile of Armley town centre and to improve the local economy by restoring key buildings. Council officer Wyn Jones told the forum meeting that work to introduce traditional shop fronts along Branch Road as part of the scheme was continuing and that work “only had about two weeks to run”. He also said an information panel had also gone up on Town Street and that more footpath improvements had been carried out. Mr Jones added that the Heritage Lottery Fund would view the project as a failure if all the work wasn’t completed at the former Mike’s Carpets building, off Branch Road. West Leeds Life understands a project meeting was due to be held today to discuss the scheme. Meanwhile, local residents last night raised concerns about the number of drunk people causing anti-social behaviour on Town Street. PC Chris Davey from West Yorkshire Police urged Armley Forum members, who were meeting in Armley Library, to report any problems to the police. Next meeting of the forum is on June 16.